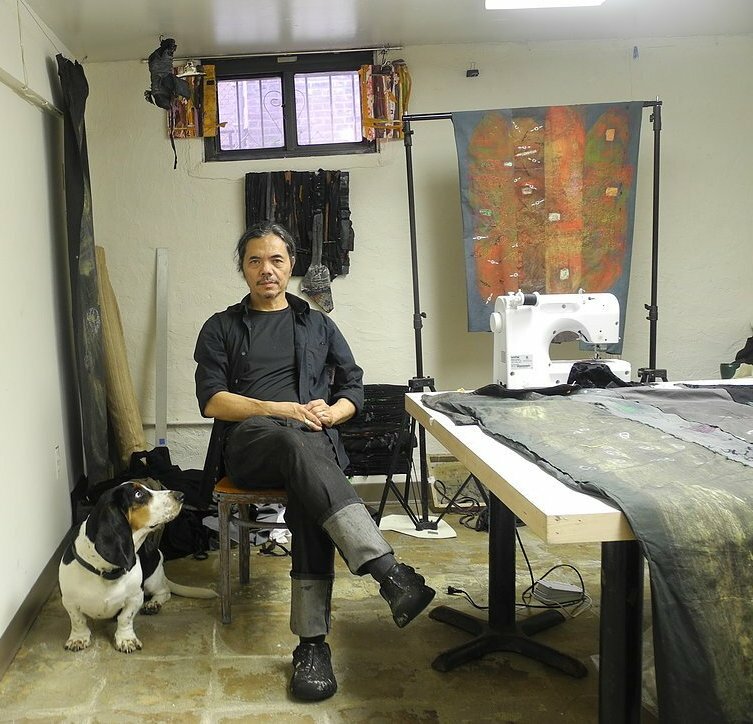 Meet Queens, New York-based Gerardo “Ged” U. Merino, a Fil-American painter, printmaker and mixed media artist who works with repurposed textiles, who never thought of becoming an artist, does not join art competitions and yet has become a celebrated artist. Ged was an elementary classmate of mine at Don Bosco Technical Institute in Makati. As a child born and raised in the Philippines, his inclination towards the arts was developed at an early age, thanks to his parents. His mother Virginia lived in a generation where they repurpose, recycled and repaired things. Creative in her own way, the repurposing of fabrics and other things were just part of her daily life. 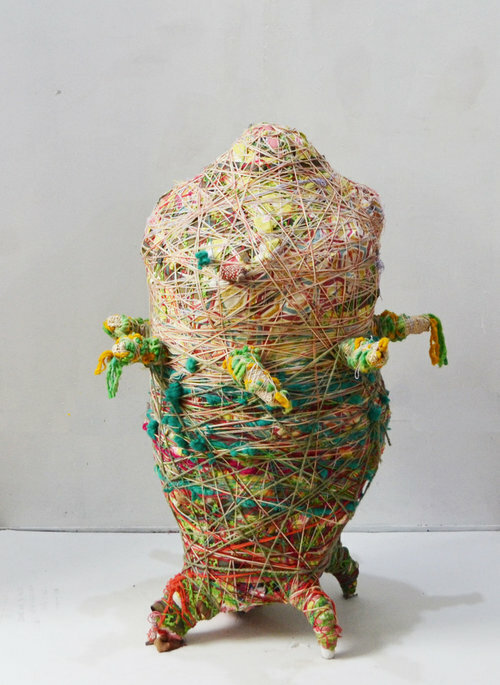 His mother’s creativeness emerged when she reused materials like old cotton pig feed sacks from his father’s farm. She used various techniques to give the old fabrics new life, embroidering them, dyeing them and sewing them to make pajamas. Virginia also did a lot of batik. In a similar note, my mother also reused chicken feed sacks sourced from the poultry of my grandparents (who lived just across the street from our old house in Malibay, Pasay City) and also transformed them into pajamas. During weekends, Ged’s father, a natural storyteller, also took him and his siblings to the farm to explore. As Ged loved to draw, his father bought him art materials and his mother took him to art classes. His father's storytelling and his mom’s repurposing of textiles sparked his interest in the arts and his work and practice has its origins in textiles. 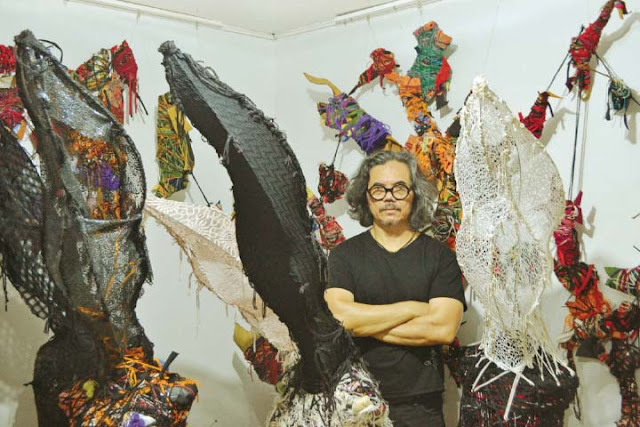 Although he finished his Bachelor of Fine Arts degree at the Philippine Women’s University in 1987, Ged wasn't initially interested in a career in art. He became very intrigued by the printmaking techniques his teacher learned during a recent trip to New York and, eventually, Boy asked Ged to work for him as an apprentice. Ged has found his calling. 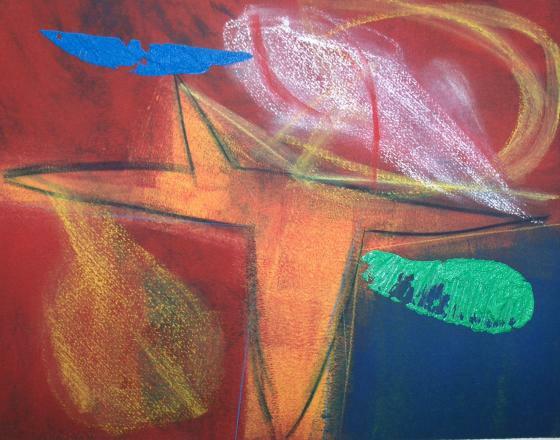 He then started to experiment with "collagraphs," silk screens, etching and other techniques. In 1987, Ged was among the Top Five in the ASEAN On the Spot Painting Competition and he joined the delegation to the ASEAN Youth Painting Conference in Singapore. The next year, he was awarded the Jackson Pollock Memorial Scholarship to study at Arts Student League of New York. While studying, he apprenticed with Marcelino Rodriguez, Boy’s brother, who worked on mono prints. 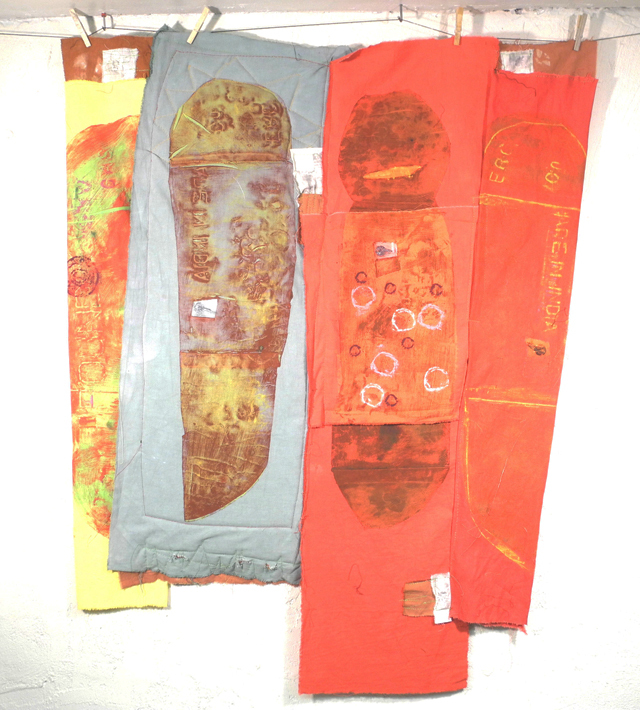 After taking a printmaking class, Ged started experimenting, painting and working with printmaking and textiles for quite some time. His plan was to stay for only a year in New York but, after four months, he met a gallerist in Chicago who picked his work from a competition, and decided to represent him. Later, he met another gallerist from in Soho (the meeting place of artists including Andy Warhol, who influenced the Pop Art movement) who also ended up representing him. 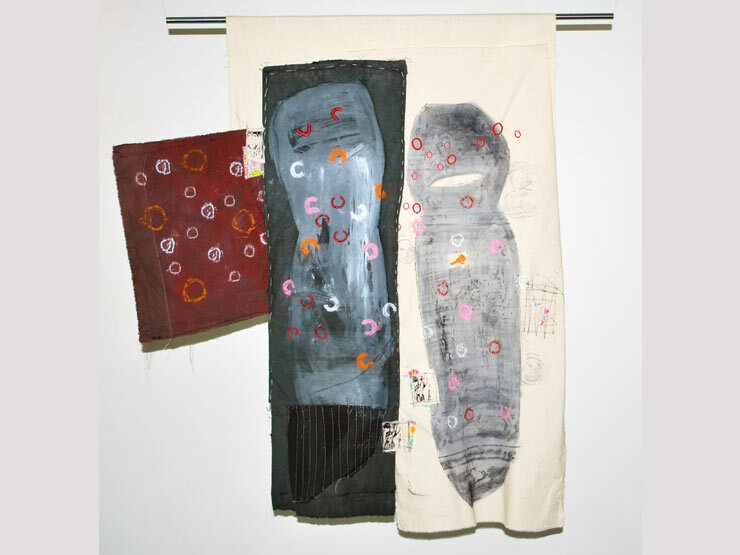 Ged decided to stay on, understanding the good and bad sides of the city and assimilating in the changing art scene in New York, made robust with various forms and disciplines by thousands of artists from all over the world, including local artists. 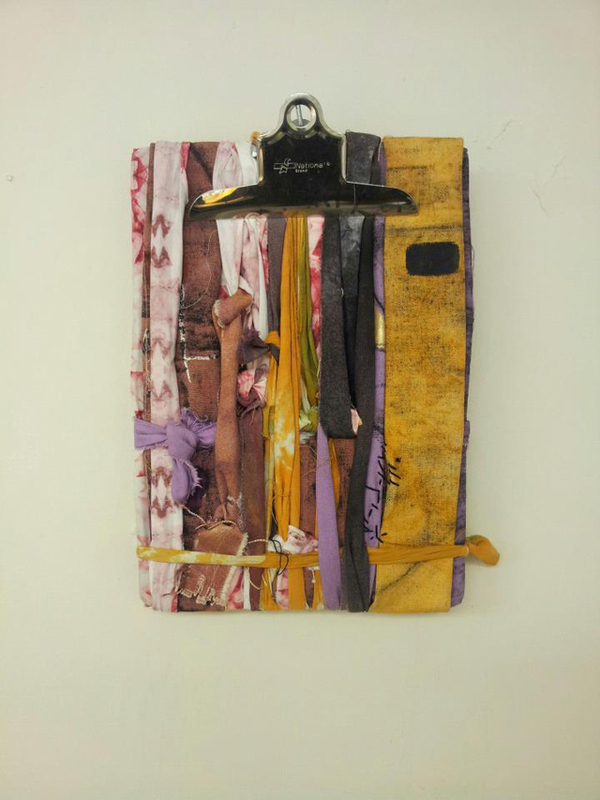 After living in New York City nearly half of his lifetime, Ged has accumulated things and objects reminiscent of home. Spending several years in Manila working on projects also triggered an immediate reconnection with his roots and culture, most strikingly the contrast of poverty versus waste. He was fascinated by the questions of why people buy and hold on to things while some are thrown away. Discarded materials eventually became his focus. 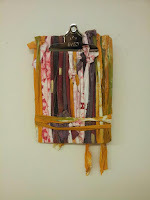 As his subject matter, Ged currently uses personal belongings and objects discarded, forgotten or left behind, incidentally or intentionally, by other people, a way of collecting artifacts from people’s lives and repurposing these discarded materials into his artistic process, giving them a new life by wrapping them in recycled fabric and string, thereby changing their form or function. Nothing is disposable for him. 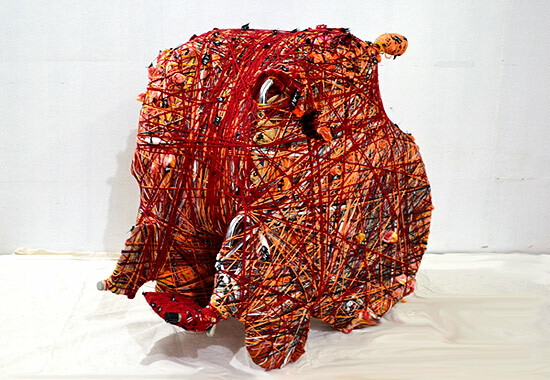 He has rubbed, hammered and scratched textures from flattened soda cans, soda bottle caps, old canvas, leather, manhole covers, sacks and other quotidian materials that can give life to his art. 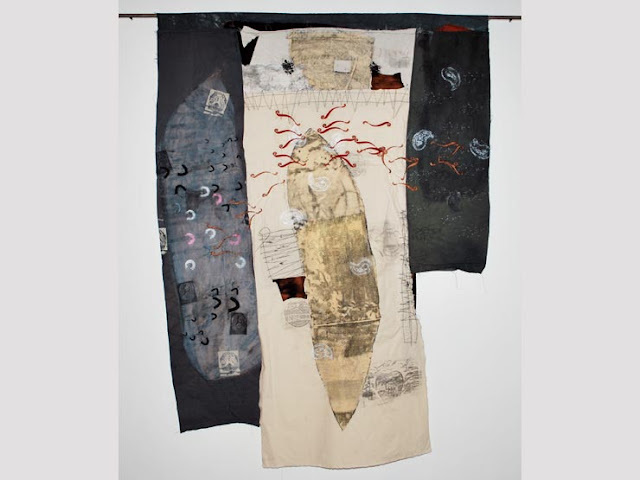 He uses these as part of the plates or silkscreen them and stitch them onto the fabrics. 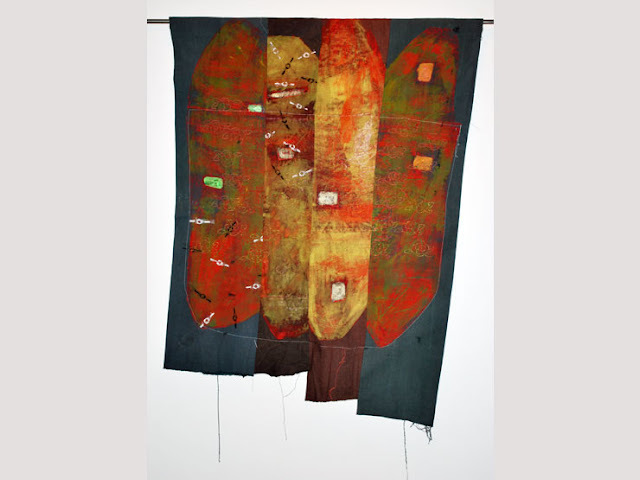 Ged was always attracted to color, textures and decorative details of fabrics and he has described working with textiles as an adventure. 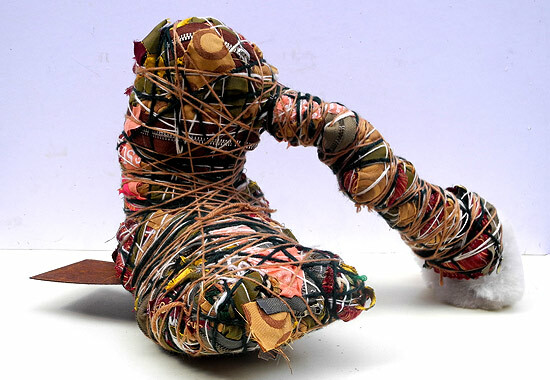 His process is spontaneous, intuitive and improvisational. 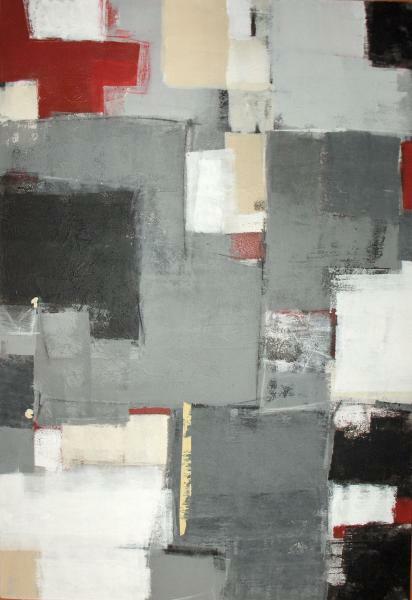 Though more of an abstractionist, he also likes working with different materials. 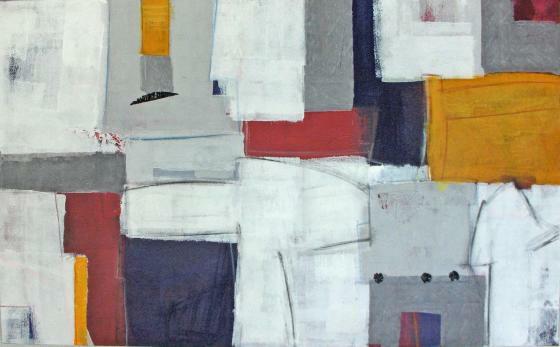 He basically started off as a printmaker then started to paint when he was in New York. For many years, he switched back and forth, maintaining a day job for the most part (which took time away from his art). 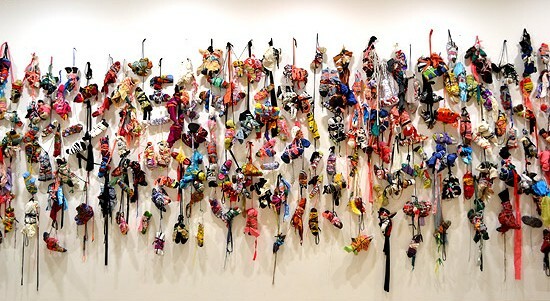 It was not until 2010 when he resigned his job and went back to textiles, collecting discarded objects and using them as materials. 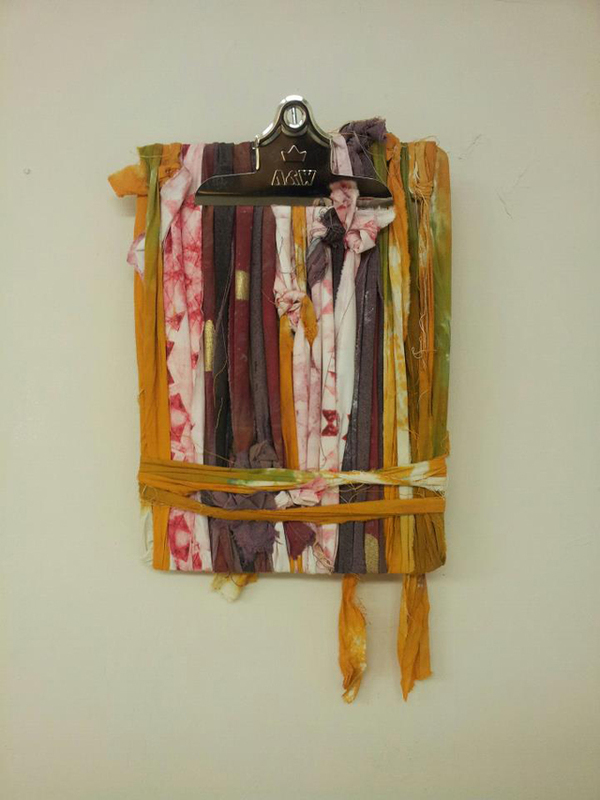 Ged is currently working on textile-based works augmented by painting and printmaking and sculpture, a medium that is not much explored yet. 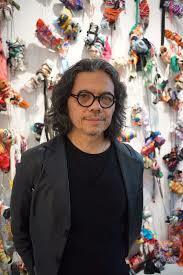 His work has been shown throughout New York, Chicago and the Philippines. Around 2009, Ged started meeting a lot of local artists, including Pinoys who lived and worked around or near his studio. 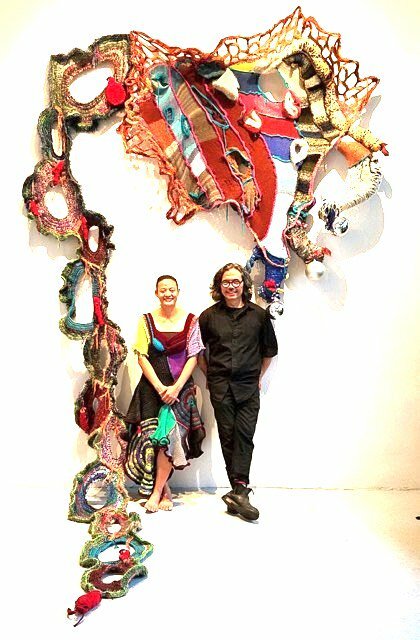 He realized that New York City, though an artists’ haven, does not really have many places where talented emerging artists, especially Filipino artists, could present their work. 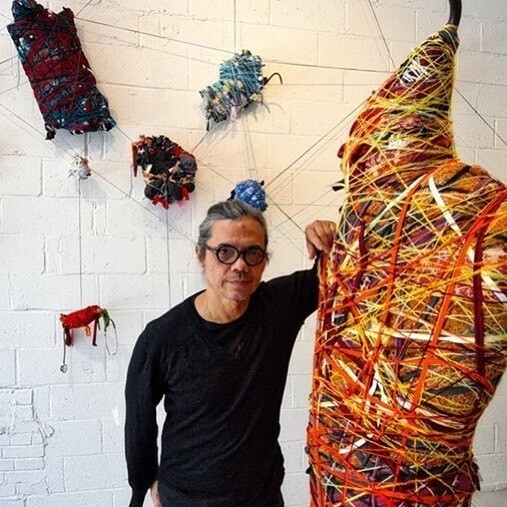 On September 21, 2011, Ged, with his Colombian wife Carolina Molina (from Bogota), launched the Filipino-centric and cross-cultural Bliss on Bliss Art Projects, an alternative art space in Sunnyside, New York, where emerging, mid-career and established contemporary artists can create and exhibit their works and interact freely with guests in an intimate space. Due to lack of funds, it was difficult from the start but, with support from family and the Filipino art community (among them prominent artists such as Alfredo and Isabel Aquilizan, Lav Diaz and New York-based writers Jessica Hagedorn and Ninotchka Rosca), money started coming in. 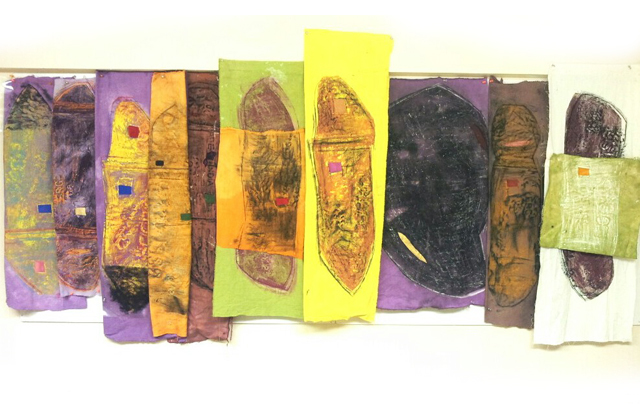 To ensure that only quality works will be exhibited, Ged and a committee of artists evaluate the an applicant’s portfolio when an artist applies to hold an exhibit. When an artwork is sold, Ged does not charge the artists or ask for commission. He just asks them to be in charge of the reception and everything they need for their exhibits. Prominent Filipino artists like Noel El Farol, Mervy Pueblo, Jeho Bitancor, Bob Nuestro, Eric Zamuco, Mideo Cruz, Luis H. Francia and Jojo Austria have done exhibits at Bliss on Bliss. 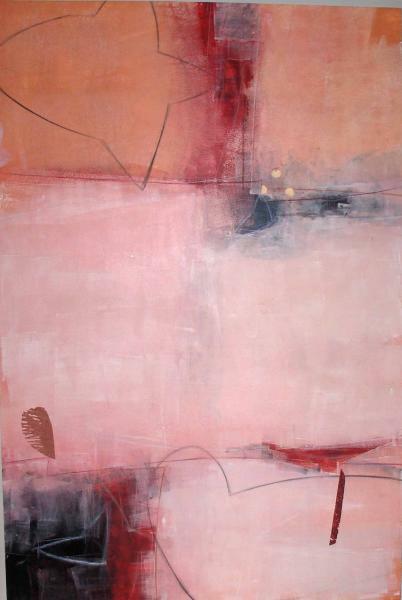 Bliss on Bliss has also witnessed how some artists developed new work. Aside from artists, writers and musicians also meet up here and have dialogues, sometimes leading to collaborations. Ged with his new works “Self Portait in NYC in Red ,Orange and Red Orange"
"Sound in Our Head" (The GedAze Project, October 9) - Bliss on Bliss Art Projects, New York, USA. In memory of Ged’s mother Virgina who, during her later years, suffered from tinnitus. 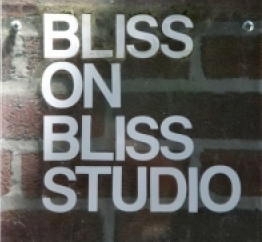 Bliss On Bliss Studio: 4149 45th St. 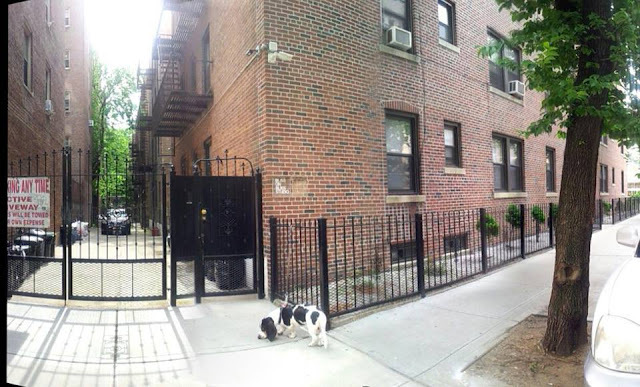 Ground Floor, Sunnyside, New York 11104, USA. E-mail: blissonblissartprojects@gmail.com. Website: www.gedmerino.com and www.blissonblissartprojects.com. See map. 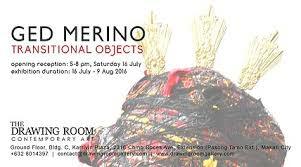 The Drawing Room Contemporary Art: G/F, Bldg. C, Karrivin Plaza, 2316 Chino Roces Ave. Extn., Brgy. Magallanes, Makati City 1231 , Metro Manila, Philippines. Tel: (632) 801 4397. E-mail: contact@drawingroomgallery.com. 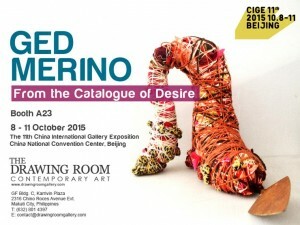 Website: www.drawingroomgallery.com.